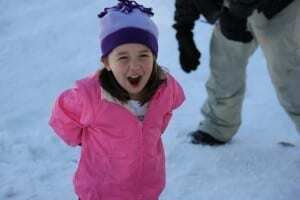 Peaceful Playgrounds | Recess Doctor Blog: When is it too cold for recess? Our featured article on this topic has the answer. Outdoor recess however, is a reality and daily decisions about “how cold is too cold” is something site principals, teachers and day care directors will be making during the winter months. Snow, wind and icy conditions make deciding when to let kids go out and play a difficult decision.